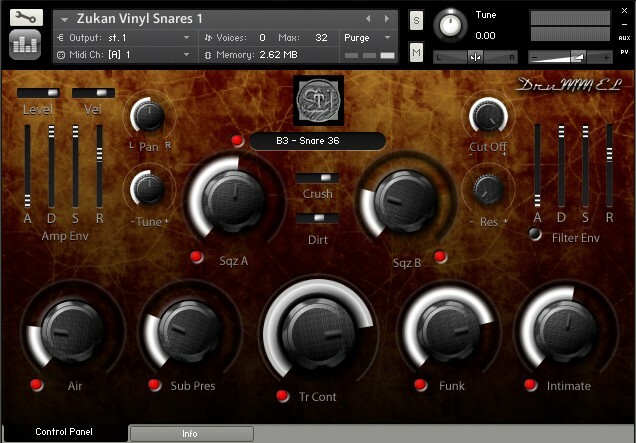 Stretch That Note has announced the second product in their DruMM Elements range of sample based drum-layering instruments. 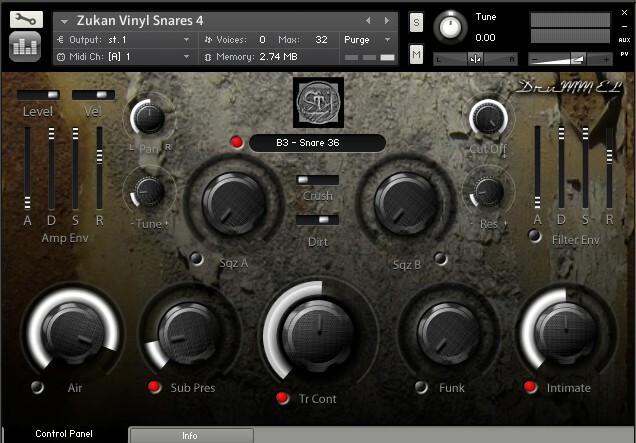 While the first series focused on kick sounds, DruMM Elements Series 2, which is available in both Kontakt and raw WAV format, provides a tasty array of acoustic and electronic snares, with an emphasis on the weird and wonderful — but always usable and, at only $10 per module, affordable too. The aim is to take the pain and effort out of translating the beats in your head into sounds coming out of your speakers: you take care of the creativity, we do the hard work. So, despite a frightening degree of under-the-hood sophistication, the interface is intuitive and easy to use. 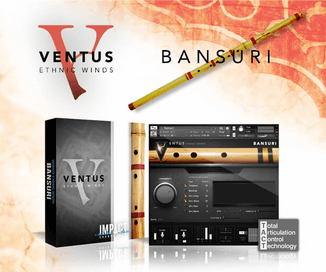 You have speedy access to a world of wonderful presets, which can be manipulated in moments. You want more snap to the transient, or a smoother attack? There’s a dial for that. More body, or a longer release? Ditto. More width? You can have that too. 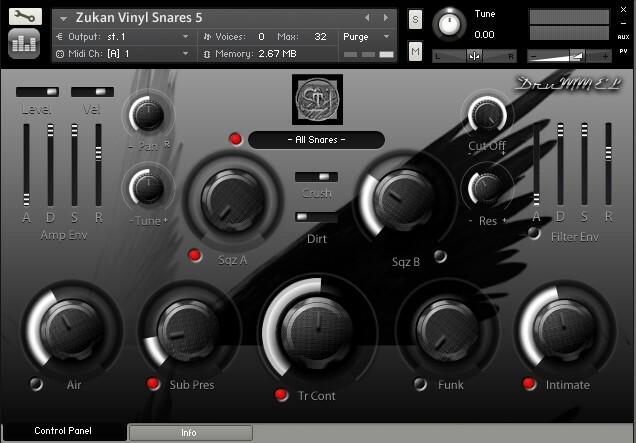 You can even add in subharmonics, courtesy of an impulse response that’s designed to work with specific frequencies. 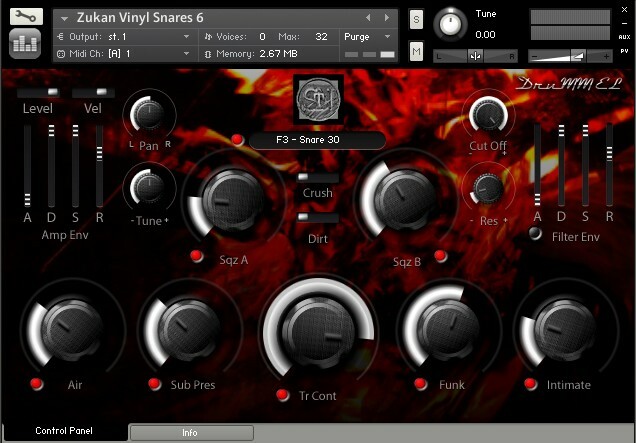 Other convolution effects include ‘Funk’ which uses pre-delay to make the snares ‘shuffle’, and ‘Presence’ which employs specially filtered close-miked impulse responses to create a really big sound. In short, everything you need to tailor a sound to your track in seconds is there. 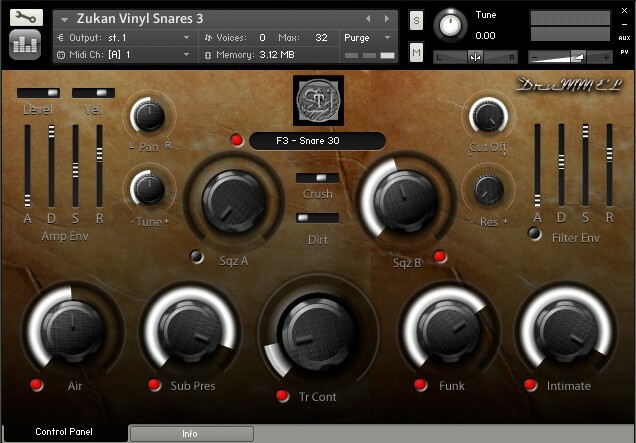 Like all DruMM modules, these are based on Native Instruments’ class-leading Kontakt sampling software — though if you don’t have Kontakt, you can buy the DruMM elements sample layers as a collection of well organised WAV files, allowing you to layer and tweak to your heart’s content in your DAW. This is much more than a collection of samples, though. 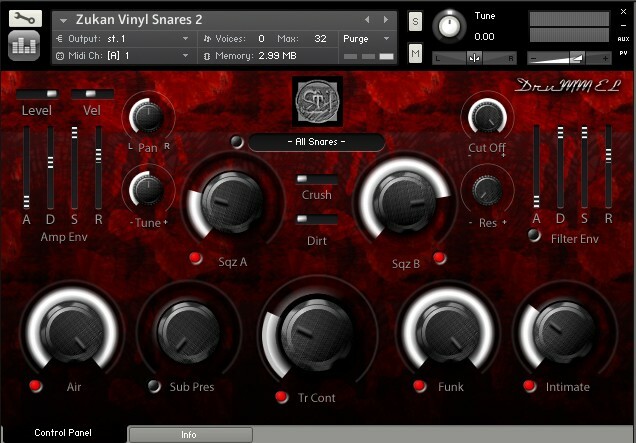 Stretch That Note have used Kontakt scripting to select, blend and manipulate different sample layers that are all guaranteed to be perfectly phase-aligned: there’s no mud, no smearing, and nothing disappears in mono. Just brilliant, tightly controlled drums. 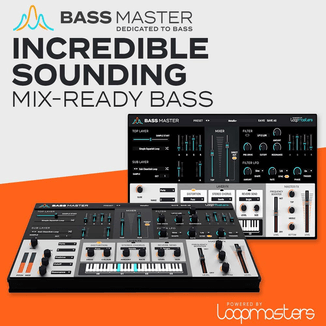 No other software offers this degree of control over your beats. 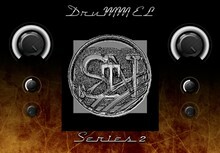 All the DruMM Elements Series 2 instruments are available to purchase for $10 USD each, or all 6 bundled for $50 USD.